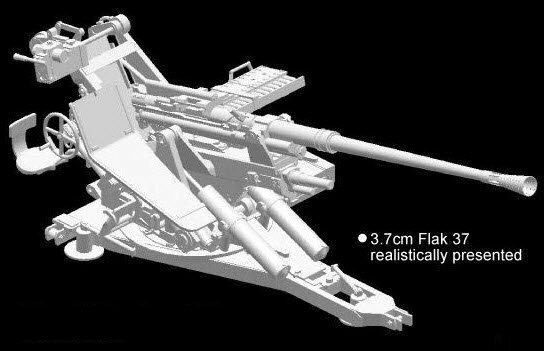 Rheinmetall developed its 3.7cm Flak 18 anti-aircraft cannon in 1935, although only a small number were produced. 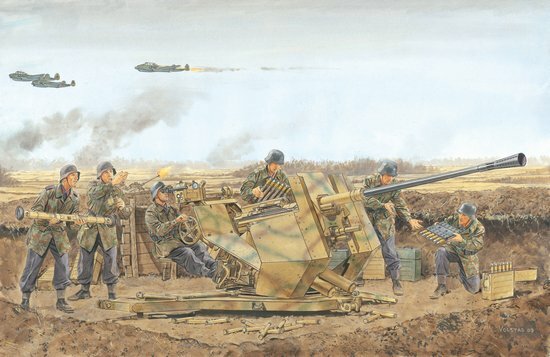 However, development continued in the guise of the 3.7cm Flak 36, and when a new Zeiss sighting system (Flakvisier) was incorporated the following year, it ultimately became known as the 3.7cm Flak 37. 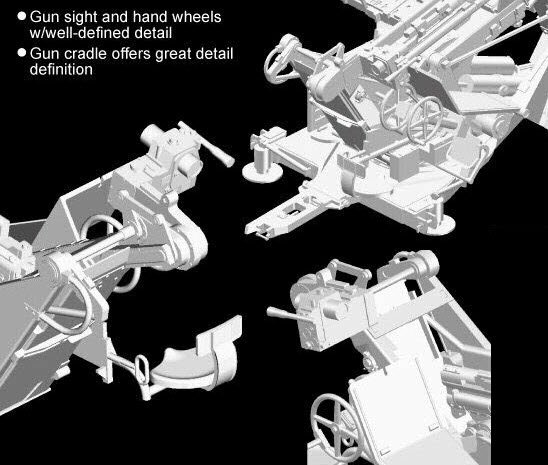 By the time production drew down in 1944, a total of 1178 Flak 37 cannons had been manufactured. For transport the 1544kg cannon was usually mounted on a two-wheel trailer and the whole combination weighed a total of 2400kg. The weapon could traverse 360° and its theoretical rate of fire was 820m/s. Normally a crew of eight men would service each weapon, with a ceiling altitude of 4800m possible. The same Flak 37 weapon was mounted on the Sd.Kfz.7/2 armoured halftrack. 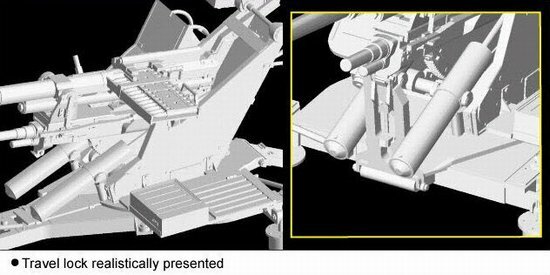 Now, however, Dragon is offering a standalone kit of the antiaircraft cannon. 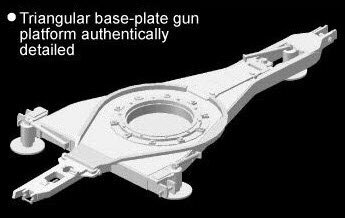 Usefully, the kit can be built according to two options – either with or without the gun shield. 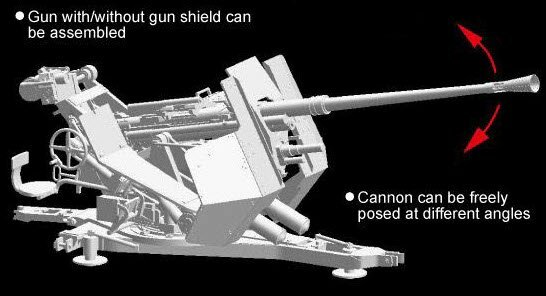 Even more than that, if the gun shield is installed, it can be depicted fully extended or folded. It may be a small kit, but it is full of detail. Take the one-piece gun barrel, for example. 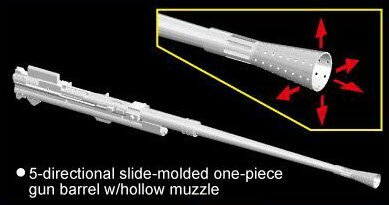 It is made from a sophisticated five-directional slide mould in order to present an accurate replica with a hollow muzzle. 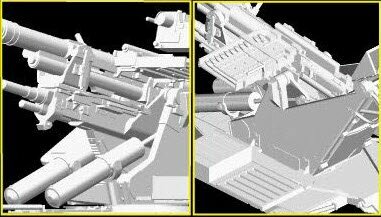 Modellers can pose the gun in various elevations or degrees of traverse. 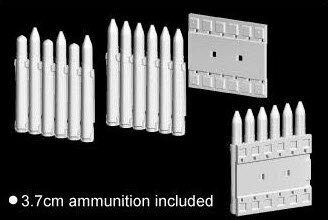 It also comes complete with a set of finely scaled 3.7cm ammunition rounds to help create an authentic scene. 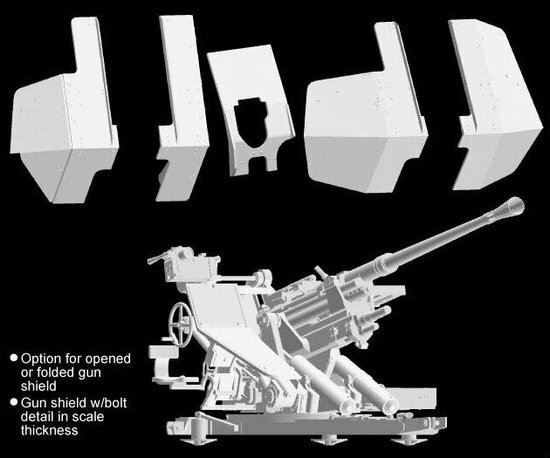 This carefully crafted cannon is ready for immediate emplacement in a modeller’s diorama!